On October 15, 16, 17, 18, 22, and 23, 2012, Judith L. Pasewark, Administrative Law Judge (ALJ) from the Office of Administrative Hearings, Special Education Division (OAH), presided at the due process hearing on this matter. Timothy A. Adams, Esq. and Phillip W. Van Allsburg, Esq., represented Student (Student). Student’s parents, (Parents, sometimes Mother or Father) attended the hearing each day, with the assistance of Mandarin Chinese interpreters Teddy Yang, and JoJo Zhong. Student did not attend the hearing. Alefia Mithaiwala, Esq. represented Irvine Unified School District (District). Mary Bevernick, Nebine Gerges, and Erica Hawkes, attended the hearing on behalf of the District. Additionally, legal interns, Tracy Johnson and Ellie Auftin, of the Harbottle Law Group attended one day of hearing. On March 28, 2012, Student filed a Request for Due Process Hearing (complaint). On June 20, 2012, OAH granted Student’s Request to File an Amended Complaint, which is the current complaint on which this decision is issued. Also on June 20, 2012, OAH granted the joint request of the parties to continue this matter to October 15 through 19, 2012. October 22, and 23, 2012, were added as additional days for testimony. The parties submitted written closing arguments on November 13, 2012, and the record closed on November 14, 2012. A one-on-one aide trained in applied behavioral analysis (ABA)? A one-on-one aide trained in ABA? 3. Whether the District’s offer of placement in the Irvine Adult Transition Program (IATP) at its January 27, 2012 IEP failed to provide Student with a FAPE because the program’s work experience, travel training, and other transition services are not appropriate for Student? 5. Whether the District denied Student a FAPE by failing to implement the iPad trial agreed upon at the June 2, 2011 amendment to the January 27, 2011 IEP? 6. Whether the District denied Student and her parents their procedural rights by refusing to provide a legally sufficient response to a request for independent educational evaluations (IEEs) in the areas of psycho-educational and assistive technology because the District did not, without undue delay, either agree to fund the IEEs or file for a due process hearing to defend its own assessments? Parents contend the adult program at IATP is inappropriate for Student, as Student is non-verbal; lacks executive functioning skills; has motor skills deficits; and exhibits aggressive behaviors which can make her a danger to herself and others. Instead, Parents want Student to remain in the high school special day class (SDC), where they believe Student will receive more education in basic skills. She has the rest of her life to learn employment skills. The District contends that Parents’ concerns are misplaced, and all of Student’s unique educational needs can more appropriately be met in the adult program at IATP. In this matter, it is time for Student to transition to the adult program. IATP addresses the areas of parental concern, while guiding Student towards independent living. Further, Student, at age 20, would obtain her education with more age-appropriate peers in the least restrictive environment at IATP. 1. Student is 20 years old, and resides with her parents within the District. Student has cerebral palsy and intellectual deficits. As a result, Student qualifies for special education and related services under the category of intellectual disability. 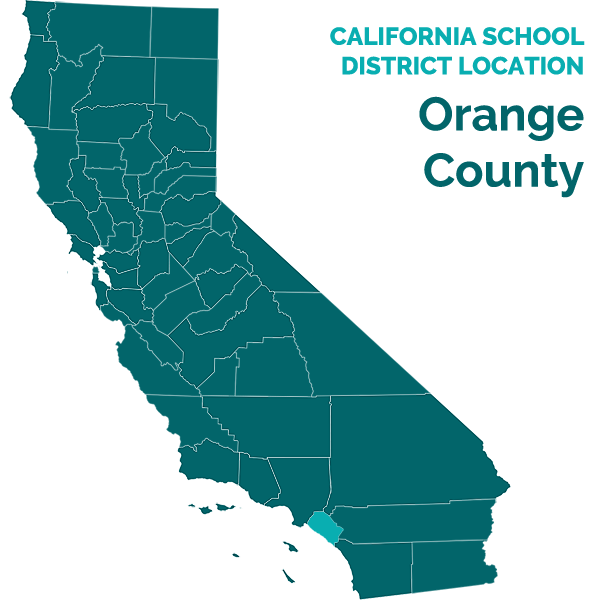 Parents hold Student’s educational rights under a conservatorship issued by the Orange County Superior Court. It is abundantly clear that Parents are truly loving and supportive of Student both at home and at school. District staff members are likewise clearly fond of Student and her parents. 2. Student has attended a SDC for moderate to severe disabilities at University High School (University) since the eighth grade, commencing in the 2006-2007 school year. 3. Mother testified and provided an in depth portrait of Student as a young woman outside the school environment. Student exhibits a myriad of deficits, including vision, motor skills, and speech. In addition, Student suffers seizures, lacks executive functioning skills, and also exhibits autistic-like behaviors, which often result in aggressive, physical behaviors. Student does not understand her dangerous behaviors, which leads to many accidents, and she does not know how to protect herself from physical injury. Student also has significant hormonal behaviors related to her menstrual cycle, which often results in injury to herself and others. 4. Parents are primarily concerned about Student’s aggressive behaviors exhibited outside the school environment. They believe Student needs to master basic independent living skills before moving to an adult placement. Student has been known to disrobe in public and demonstrate inappropriate hygiene skills regarding toileting and her period. Student needs to learn to eat independently, as well as go to the bathroom independently. Student needs to learn basic executive functioning skills to remain safe. 5. Outside of school, Student receives one-to-one behavioral services from the Center for Autism and Related Disorders (CARD), three times a week (at home and at church), which are provided by Regional Center of Orange County (OCRC). Student also receives assistance from the Cerebral Palsy Foundation. 1 ABA is a commonly used behavior therapy which is generally associated with autistic-like behaviors. 6. Catherine Titus taught Student’s moderate/severe SDC class for the 2010-2011 school year. She is highly regarded by Student, Parents, the District staff and Dr. Chris Davidson. Ms. Titus has a B.A. in education and holds advanced special education credentials in Michigan, Texas and California. In California, Ms. Titus holds a Professional Clear Multiple Subject Credential and a Clear Special Education Specialist Credential for the Severely Handicapped. She has extensive experience in special education throughout Orange County, California. Further, Ms. Titus is highly experienced in the areas of autism and developmental delays, and is especially experienced in applied behavior analysis (ABA). 1 Ms. Titus prepared the Student’s January 27, 2011IEP document for the District. 7. Ms. Titus also administered the academic portion of Student’s triennial assessment in 2011. She indicated her assessment was intended to assist the IEP team in determining what Student needed to be focused on in the next three years. Ms. Titus’ findings emphasized what Student could do, rather than what she couldn’t do. Ms. Titus also interviewed Mother prior to the January 2011 IEP in order to obtain information regarding Student’s behaviors at home. She noted from their discussion that the behaviors described by Mother were not occurring at school; i.e., Student did not disrobe in her classroom. Ms. Titus believed the difference in Student’s behaviors was at least partially due to teacher interventions and the use of an informal behavior plan in class. 8. Student has not alleged that the assessments performed for the January 27, 2011 triennial were deficient. Therefore, this decision shall not further discuss the assessments themselves. It is simply noted the conclusions reached in the triennial assessments helped determine Student’s present levels of performance (PLOP), and were considered together with observations and input from Student’s teachers, service providers, and parents. Further, as Student’s classroom teacher, Ms. Titus’ input was a major contributing factor in the determination of Student’s PLOP’s. 9. The District held Student’s triennial IEP on January 27, 2011. All necessary parties were present, including Parents. Student’s PLOP’s indicated she is a social, albeit non-verbal young woman, who can follow simple verbal directions. She can request items by signing, and request assistance, i.e., bathroom, with body gestures. Student uses the Picture Exchange Communication System (PECS) icons for communication. It was noted that Student needed to increase her use of picture communication. Student’s gross motor skills continued to be greatly impacted. Additionally, while Student ate with her fingers and was resistant to using a spoon at school, she consistently used a spoon at home to feed herself. 2 Visually structured tasks are those which a student can learn to complete various tasks or activities independently, without an adult’s physical or verbal prompt. These tasks use visual clarity and visual instructions to help the student complete the task independently. 3 A work system refers to the systematic and organized presentation of task and materials in order for students to learn to work independently. Work systems communicate to the student what is the work to be done, how much work, when am I finished, and what is next. 11. Student’s social-emotional development PLOP was of greater concern to Parents. On a positive note, Student loves being around people, loves to hug and greet people, always has a smile on her face and is willing to share. She wants adult attention and to be part of any activity a preferred adult is doing. Student frequently laughs and loves dancing. 12. On the negative side, Student does not have friends her own age. She can be obsessive about eating, and may become angry if she has to wait too long for food. When she becomes angry, Student may push or throw food or items in front of her, spill water, pull hair, grab, pinch or bite. Other things that upset Student are, (1) having nothing to do; (2) asking her to sit too long a period of time; (3) long trips; and (4) failing to get her own way. When Student reaches her limit or becomes over stimulated, she: (1) whines; (2) lies down on the ground; (3) clenches and unclenches her hands while rubbing them together; and (4) throws items close to her or pushes them away. Mother indicated that when Student becomes overly aggressive, Mother will hold Student’s hands tightly so she does not hurt her, and talks to Student in a calm voice. Mother also indicated that Student’s severe behaviors have decreased over the last year. Additionally, Mother noted a relationship between Student’s aggressive behaviors and her menstrual cycle and bowel movements. Again, most of these behaviors are reported at home, rather than at school. 13. Ten goals were prepared and adopted by the IEP team. These goals covered areas of need in communication, independent life skills, functional academics, and APE. Prior to the IEP meeting, Ms. Titus met with Mother to discuss the IEP. It is undisputed that Student used PECS at home and at school. Based upon their discussion, Ms. Titus believed Mother was on board with the proposed goals and visual strategies, and Mother agreed that the goals would be both functional and appropriate for Student. 14. In hindsight, Mother expressed concern that the goals were the same as they had been for the past four years. Further, although Student had been using PECS at home and school, Mother decided it was no longer an appropriate communication system for Student. PECS had become too complicated and took too long for Student to communicate her immediate needs. As example, PECS was not quick enough for Student to indicate her need to use the bathroom, thereby resulting in toileting accidents. 15. If PECS was now inappropriate for Student, so were her new goals, as both Mother and Dr. Davidson believed they all heavily relied on PECS. Instead, Mother asserts that Student’s goals should have included assistive technology (AT), such as the iPad, which was not as cumbersome, and realistically, was considerably more high-tech. Ms. Titus reminds us, however, that PECS is a form of AT, albeit, low tech, and she considers PECS to be a precursor to higher forms of AT, such as the iPad. 16. The IEP provided two specific goals addressing communication. Communication Goal Number One addressed “requesting desirable items.” As a baseline, the goal indicated that when a desirable item is in front of Student, i.e., a juice box, she can initiate signing to request “more.” When she needs to use the restroom, she gets the attention of staff, and points to her crotch. She has a picture communication book with pictures of various items related to her daily schedule, but she doesn’t use them to request specific items. On the other hand, when wanting food, i.e. french fries, with a picture of same, Student can pick up the picture, and give it to the person holding the item, independently completing the request sequence three out of five times. The accompanying goal projected that by January 27, 2012, upon seeing and wanting a particular item, and with a picture of that item alone or in a communication book, Student could go to the book, remove the picture, go to the communication partner, and give the picture, independently completing the request sequence on four out of five opportunities when the book was across the room, across five different reinforcers and five different trainers as measured by the teacher, data, and observation. This is the only goal which is specifically PECS-oriented, and Student successfully completed this goal within six months. 17. Communication Goal Number Two addressed “asking for help.” The baseline on this goal noted that Student had learned to sign “help” by clasping her hands together when asked to do tasks that are difficult for her. This gesture is not a true hand sign; therefore, people, unfamiliar with Student, do not understand her request. It was undisputed that Student needed to learn a sign for “help” which could be understood by anyone. The accompanying goal projected that by January 27, 2012, upon encountering an obstacle, Student would bring the “help” icon to a communicative partner, with 80 percent accuracy, over eight tasks, as measured by data collection. 18. Student’s goals in Life Skills, Functional Academics and Vocational Skills, all relied on visual aids and pictures or icons for instruction and communication. The goals, however, did not utilize PECS. Student’s Life Skills/toileting goal, was developed to provide Student with indirect prompts to get her to follow a sequence of tasks. This goal was intended to work on linking tasks, and thereby do away with verbal prompts, and promote independence. Student’s Life Skills/following a packing picture schedule goal, was designed to increase Student’s independence by having Student learn to use a visual list to complete a task. Student’s Functional Academics/Food Inventory goal used a visual strategy to have Student identify food items. Ms. Titus indicated that Student was highly motivated and very good with this strategy. Student’s Functional Academics goal addressing visually structured tasks was based on TEEACH strategies, and was intended to assist Student in completing simple tasks which were visually structured. Ms. Titus had discussed Student’s Vocational Skills goal addressing independent work with Mother prior to the IEP. The goal noted that Student’s skills were emerging in the ability to complete mastered tasks and was intended to allow Student to generalize these tasks in multiple areas. Student’s utensil skills goal was specifically requested by Mother, and was intended to assist in generalizing Student’s home skill to the school setting. 19. Kathline Maltby, a Speech and Language Pathologist (SLP) and Assistive Technology Specialist for the District, was questioned by Student at hearing. Ms. Maltby has a B.A. in speech communication, M.S. in communicative disorders, and has obtained an Assistive Technology Certificate. She is a licensed SLP and has a credential in Clinical Rehabilitative Services with Special Class Authorization. Her employment with the District includes a caseload of 60 students, most of which are AT consultation cases. Student has been on her caseload for three years. 20. Ms. Maltby acknowledged that at the time of the January 27, 2011 IEP, Student’s basic communications of her wants and needs were being addressed through multimodal forms of communication, one of which was PECS. PECS was working fairly well, except regarding toileting. In response, the toileting issue had been alternately resolved by providing Student with regularly scheduled bathroom breaks. Further, a prior difficulty experienced with Student crumpling and throwing the PECS icons, had been corrected with the physical modification of the pictures, making them thicker, and sturdier. Although most of Student’s goals involved visual pictures and symbols, they did not require use of the formal PECS program itself. Each goal, including Student’s subsequent use of the iPad, required Student to identify pictures, photos, symbols or icons, in order to follow directions and/or communicate with others. 21. Ms. Maltby indicated that most of her AT service with pupils was consultative. Given that Student’s teacher, Ms. Titus, and Student’s SLP, Ms. Plass, were proficient with PECS, and Student had not yet utilized the iPad as a preferred activity, it was not necessary to provide more than 15 minutes of AT consultation per month. 22. Beverly Plass, is the lead SLP for the District. In addition, she is Student’s SLP, and is also a specialized academic instructor at IATP, where she teaches 18-22 year old students with moderate/severe disabilities. Ms. Plass is also fluent in American Sign Language. Ms. Plass has a B.A. in psychology and a M.A. in communicative disorders. She possesses a Clear Clinical Rehabilitative Service Credential in Language, Speech, and Hearing, including Special Class Authorization, a Certificate of Clinical Competence by the American Speech-Language-Hearing Association, and California license from the Speech-Language Pathology and Audiology Board. Ms. Plass presents as a highly qualified SLP. 23. Ms. Plass reported that as of the January 27, 2011 IEP, Student had been using PECS as part of her communication system. PECS had been used to develop both Student’s initiation and expressive communications. PECS does involve working with pictures; however, all visual forms of communication work with pictures in a broad sense. Ms. Plass explained there is a difference between PECS and other forms of visual supports. As example, the iPad is a device which transfers pictures into technology, but it still uses pictures. The communication goals in the January 27, 2011 IEP were gearing Student to start using more precise pictures. Additionally, pictures were used in other goals to provide structure. As example, on Student’s toileting goal, symbols (which are pictures) were used to match with the toilet, to convey her need for the restroom. Ms. Plass considers the 2011 IEP goals to be appropriate for Student. 24. Ms. Plass also considers the 15 minutes per month of AT collaboration to be adequate for Student. She reminds us that this is not consultation, but collaboration, which involves working with the staff and Student. The purpose of the collaboration was to integrate PECS into Student’s school day. Student’s teacher, Ms. Titus, was thoroughly familiar with PECS and did not need additional collaborative time. 25. To support these goals, the IEP team offered specialized academic instruction (SAI) outside of general education in a moderate/severe special day class (SDC), with related services consisting of: (1) speech and language collaboration l5 minutes per week; (2) APE 55 minutes per week; (3) AT consultation 15 minutes per month; and (4) health and nursing consultation 30 minutes per year. The IEP team also offered Student ESY for the 2011 summer. 26. The 2011 IEP also included Student’s Individual Transition Plan (ITP), which is legally required for all special education students, l6 years of age or older. Ms. Titus prepared Students ITP. Suffice it to say, when questioned about the printed format of the ITP, Ms. Titus clearly admitted that she “had screwed up.” Although she had put a lot of effort into drafting the ITP, she was not experienced in the procedural format. As a result, the ITP failed to link the ITP goals to any of Student’s annual IEP goals, and it further fails to identify the persons or agencies responsible for the ITP goals. 27. In spite of these errors, the ITP provides a significant amount of substantive content, which was clearly discussed at the IEP meeting. Ms. Titus assessed Student using the TEACCH Transition Assessment Profile (TTAP), which tests the basic areas of competency a person needs for a degree of independent success in adult living and working environments. Ms. Titus also observed Student, and interviewed Mother in order to develop Student’s PLOP’s for the ITP. Student’s PLOP’s describe Student as a young woman who has a very limited attention span and who requires constant prompting to complete simple mastered tasks. She does better when visually structured tasks are used. Through the use of visually structured tasks, Student can learn to complete various tasks and activities independently, i.e. without an adult’s physical or visual prompt. These tasks use visual organization, visual clarity and visual instructions to help Student complete the task independently. Ms. Titus noted that skills were emerging in Student’s ability to complete mastered tasks given an independent work system. 28. The first ITP goal reflected, that upon completion of school, Student would independently apply and manage use of time in the context of real-world situations. This goal was supported by classroom exposure to time management activities in the context of independent work stations, participation in CBI, and by learning to use a picture schedule. Ms. Titus went over Student’s proposed work goals with Mother prior to the IEP/ITP. She noted that Mother expressed anxiety towards Student’s transitions. The second ITP goal indicated that, upon completion of school, Student would work in a supported work program. This goal was supported by classroom participation and exposure to vocational training activities in the context of real-life situations, and participation in campus based vocational activities in order to explore different occupations at her skill level. The third ITP goal stated that, upon completion of school, Student will make lists for needed items by using pictures. This goal was supported through classroom life skill training activities, participation in CBI, and learning to make a grocery list through a picture schedule. As with Student’s proposed IEP goals, Ms. Titus went over Student’s proposed work goals with Mother prior to the IEP meeting. She noted that Mother continued to express anxiety towards Student’s transitions. 29. Ms. Titus defended the ITP and contends that the ITP goals were connected to the IEP goals, even if the “boxes” were incomplete. Although the ITP document was technically incomplete, it did not negate the fact that the ITP was fully discussed at the IEP meeting, including discussion of the reasons for the goals. Further, in addition to Parents, representatives of CARD and OCRC were also present during the ITP discussion, and no one questioned the content of the ITP. 30. The January 27, 2011 IEP was crafted to address Student as an 18 year old with an intellectual disability. The IEP team acknowledged that Student had some severe social-adaptive needs, and therefore, the IEP focused more on vocational curriculum, self management and functional independence rather than a traditional academic program. The IEP was initially developed for Student’s placement at IATP. Parents were provided with an information booklet about IATP. Program options were discussed. It was noted that IATP could provide resources and prepare Student with transition skills to an adult daycare program through OCRC when she aged out of special education at age 22. 31. Parents remained reluctant to consent to the proposed change in placement. Parents believe Student has difficulties with routine transitions. At home Student continued to demonstrate behaviors such as lying down on the floor and refusing to comply. Parents believe Student had regressed in her learned skills. Parents wanted to see Student build on her communication skills before transitioning to IATP, and requested that Student remain an additional year (2011-2012) in the SDC. Reluctantly, the IEP team agreed to maintain Student’s placement in the SDC at University. The IEP team also suggested having Student transition to IATP on a partial or gradual basis, before fully transitioning there. The team recommended reconvening an IEP meeting prior to the commencement of the 2011-2012 school year to further discuss Student’s placement, and to develop a specific timeline for transitioning Student to IATP. Parents consented to the IEP, including the ITP, in its entirety. 32. Mother indicated that Parents consented to the January 27, 2011 IEP because they loved and trusted Student’s teacher, Ms. Titus. Clearly, Ms. Titus, remains truly attached to Student and her parents. Ms. Titus expressed that she had done a lot of work preparing the IEP, and wanted to make sure that Parents understood what was being discussed. As example, she brought visual aids to the IEP to demonstrate how the visual strategies would work. 33. Speaking as Student’s SDC teacher, Ms. Titus reported that Student did not have difficulties with transitions at school, and she hoped that Parents would understand that moving Student into a functional environment at IATP would be more beneficial to Student than remaining in the high school setting. Ms. Titus spoke highly of IATP, and described Student as an ideal candidate for the IATP program. Ms. Titus has sent similar students to IATP in the past, and each of them has done well in the program. She felt Student was highly motivated and would gain more independence and self-advocacy at IATP. Further, Student did not need a one-to-one aide, especially an ABA trained aide, as Student did not exhibit significant behaviors at school. Further, it would be counterproductive to provide Student a one-to-one aide, as Student’s functional education plan needed to promote independence. Ms. Titus observed no safety issues for Student, and there were enough adults in the IATP program to intervene if needed. 34. Ms. Titus also opined that Student did not require a formal BIP. Admittedly, Ms. Titus is an exceptional teacher and is well qualified in ABA behavioral strategies. She acknowledged that early in the school year, Student exhibited maladaptive behaviors such as hair pulling. She stressed those types of behaviors were not unusual occurrences for pupils in a moderate/severe SDC, and the degree of Student’s behaviors did not merit a one-to-one aide. Further, Ms. Titus had adopted informal strategies to deal with behaviors for all of her students, which she referred to as her “bag of tricks,” many of which are based in ABA. She confided that all teachers have their own unique bag of tricks which has proven successful for them. She also met with Mr. Lexin, Student’s SDC teacher for 2011-2012, and spent approximately 12 hours discussing Student’s behaviors, and making recommendations of what strategies had worked with Student. 35. Although Parents consented to the 2011 IEP, they made several additional requests. Specifically, Parents requested that the District provide a unified approach, both at home and at school, regarding Student’s communication skills. Parent’s suggested that an electronic device, such as the iPad should be purchased for Student to use across settings. Parents also requested the District provide Student with six hours per year of consultation with CARD, Student’s in-home behavior provider, and provide a school aide during Student’s initial occupational therapy (OT) services provided by California Children’s Services (CCS). These additional requests were tabled by the District for further consideration. 4 It is noted that Augmentative Communication (AC) and Assistive Technology (AT) are not necessarily the same. AC refers to all forms of non-verbal communication, such as sign language and visual picture systems. AT is an inclusive consideration of AC; however AT refers only to the devices and programs used to assist in communication, such as PECS, a computer, iPad, or software such as Proloquo2Go. 37. Ms. Maltby, completed an AT assessment of Student, and provided a written report dated May 24, 2011. The purpose of the assessment was to determine the best strategies and tools to support Student’s expressive language. The assessment took place in Student’s classroom over a period of several days, and was based upon a review of records, interviews, classroom observations and informal assessment. 38. Given that Student is exposed to bilingual communication, primarily in the English and Mandarin Chinese languages, the Alternate Language Proficiency Instrument for Students with Significant Disabilities was administered. This test is designed to look at a bilingual student’s proficiency in their native language in comparison to English. The test was modified to more accurately compare Student’s proficiency levels. Student’s overall scores were similar in both languages. Receptively, Student is able to follow simple directions equally well in both languages. Student knows more body parts in Mandarin, and more school objects and food in English. Expressively, Student is non-verbal and uses the same gestures, sounds and body language when attempting to converse in either language. 39. Ms. Maltby administered two other assessments. The Aided-Communication Symbol Performance (TASP) is designed to assess a student’s optimal symbol and field size, ability to recognize the grammatical categories that symbols represent, categorization skills, and the ability to form sentences using a picture communication board. Not all sections of this test were administered because basals could not be obtained for several portions. She also utilized the Functional Communication Profile, which is an informal assessment instrument with no age-referenced/severity norms. The ratings are subjective decisions based on experiences with Student about functional activities, and upon observations and interviews with Student’s classroom teacher, Ms Titus, and her SLP, Ms. Plass. Ms. Maltby reported that Student began using the PECS in elementary school. She continued to use PECS when she moved to the District in her ninth grade year. She was still using PECS in the 12th grade in May 2011. Student had mastered PECS skills which included: (1) independently picking up a picture and handing it to a communicative partner to request a desirable item; (2) traveling 10 feet to her communication book and 10 feet to a communicative partner; (3) communicating with a variety of people; (4) making requests in a variety of settings; (5) requesting a variety of items; and choosing pictures when preferred and non-preferred items are offered. Student had reached Phase IIIB PECS and could open her communication book, flip through pages, choose a preferred item and travel to a communicative partner to exchange the picture for the desirable item. 40. As part of the assessment, Student was introduced to the iPad with several educational and communication apps. Initially she had difficulty selecting items on the screen due to her motor deficits, however when given a stylus to make her selections, she was able to accurately select all icons on the display. Student was able to navigate and make requests on the devise. She was able to use the yes/no app to answer yes/no questions. She demonstrated the ability to navigate between pages, to understand categorization, and to make selections to express her wants and needs. 41. Ms. Maltby indicated that, although Student has strong communicative intents and enjoys social interactions, she had limited communication skills. Student continued to have limited verbal skills and communicated through a multi-modal approach which included leading one to a desired item, gestures, vocalizations, use of a static display speech generating device and use of a picture communication book. She preferred to use her signs, gestures and vocalizations to communicate with those in her environment, and would use the book when prompted or to express needs. More importantly, Ms. Maltby concluded that while PECS or a non-vocal method of communication is a good back-up system, Student had shown the ability to expand her communication with the use of a dynamic display device. Further, Student demonstrated a basic understanding and functional use of such devices; however, she needed to be taught the labels for the photographs and pictures that are used on the display. Once this is done, Student should be able to use the photos and pictures for meaningful expressive communication. As a result, Ms. Maltby recommended continuing to increase independent photo/symbol identification skills for icons, working on categorization skills, and visual scanning. She also suggested a six week trial of the iPad to determine if it would provide Student with greater expressive opportunities. 5 OT, PT and Vision therapy are not in issue in this matter. 42. The District held an addendum IEP meeting on June 2, 2011, to consider Ms. Maltby’s report and recommendations. This IEP meeting also encompassed consideration of the physical therapy (PT) and OT assessments completed by CCS in March 2011. Vision assessment results were also discussed. 5 Parents attended the IEP meeting with Dr. Peterson, a highly skilled student advocate, and faculty advisor to the Special Education Clinic at Pepperdine University School of Law. 43. Pursuant to Ms. Maltby’s recommendation, the IEP team agreed to a six week trial of the iPad, to start at the beginning of the 2011-2012 school year in September 2011. It was agreed that six weeks would be sufficient time to determine whether Student could progress on basic iPad skills, and the trial would be completed by October 20, 2011. Further, the IEP team agreed to provide two extra 30 minute AT consultations during the iPad trial, to facilitate the iPad training, in addition to Student’s existing 15-minutes per month of AT consultation. Ms. Maltby also explained that additional consultation time to train Parents would not be addressed until after until Student completed the iPad trial, if it was determined that the iPad was an appropriate AT device for Student. 44. Ms. Plass wrote a new goal using a communication book to replace the PECS goal. The new goal was designed to begin transitioning Student to the iPad and Proloquo2Go software by utilizing a picture communication book with a similar format. The goal focused on functional communication by seeking to increase Student’s ability to request items or activities. The new book was based upon peer reviewed research and was selected because it was more sophisticated and specific than PECS. From this point forward, PECS would simply remain Student’s backup form of communication. 45. The IEP team also discussed Student’s history of regressing during school breaks, and her need for ESY. In an ongoing effort by the District to transition Student to IATP, the IEP team agreed that Student’s ESY program would be located at IATP. Another IEP meeting would be held in July 2011, to consider how Student fared at IATP, and to determine Student’s placement for the 2011-2012 school year. In the event the IEP meeting was not scheduled, Student’s placement would remain at University. Parents, represented by their advocate, consented to this addendum to the 2011 IEP in its entirety. Student attended ESY at IATP. 46. Parents attended another IEP meeting on July 19, 2011 to further discuss Student’s participation in ESY at IATP, and further discuss Student’s transition to the adult program at IATP. The parties differ on their recollections of Student’s ESY experience. Mother did not believe Student fared well in ESY at IATP and believes Student regressed over the summer. Unfortunately, Mother failed to provide any specific examples to support her conclusions. Dr. Davidson recalled that Mother told her that ESY did not go well, and Student developed additional issues. These issues, however, were not disclosed. Dr. Davidson also reported that the ESY notes indicated that Student could not do things that other pupils could do. She therefore concluded Student was unable to meaningfully participate in the ESY program. 47. The District presents a different picture of Student’s 2011 ESY experience. Desiree Shaffer, a District Education Specialist, was Student’s SAI teacher during the ESY at IATP. As a SAI teacher, Ms. Shaffer works with students with moderate to severe disabilities on vocational skills, independent living skills, functional academic skills, mobility training and community based instruction. She attended the July 19, 2011 IEP meeting and reported that Student did well at IATP. Certainly there were some “bumps in the road” for a few days, but Student could be redirected, and there were no significant problems. Ms. Shaffer indicated that these “bumps in the road” were anticipated, and Student handled the transition to IATP well. Student made a friend with whom she liked doing community activities; she was doing work tasks and participating in the vocational and independent living skills tasks; she was learning the routine and the behavioral expectations; she was following directions. Student transitioned to the staff well. She showed some little behaviors, but nothing serious that could not be easily redirected. Ms. Shaffer also indicated that the ESY program was well supervised, and provided a ratio of two students to one staff member. This ratio was maintained during community based instruction (CBI), where the students travel off campus to community destinations, i.e., a restaurant or grocery store, to work on their socialization and independent living skills. Student’s behavior was “okay” during CBI. 48. Admittedly, the ESY program at IATP, as with most ESY programs, operated on a shorter day than the full-day program of the regular school year, and was intended to maintain skills and prevent regression. Ms. Shaffer noted, however, that the IATP ESY was not less demanding, but was merely shorter than the regular program. “It was no summer camp.” Student exhibited the endurance to handle IATP, and was given breaks pursuant to a schedule. A regular class-day would be three hours longer, and Student would still be given scheduled breaks during the day. Further, if retained at University, Student’s school day would be the same hours as IATP. 49. Ms. Shaffer also functioned as the IATP liaison at Student’s IEP meetings, where she described and discussed the IATP programs and answered questions for the IEP team. She also provided Parents with a booklet, which explained IATP, provided information on transitioning to IATP, and identified other resources available to families. Although Ms. Shaffer would not be Student’s IATP teacher for the regular school year, she was clearly familiar with the programs offered at IATP. She recommended IATP as the placement where Student could work on her independent living skills. Student’s goals could be addressed at IATP. Further, she reported Student was happy at IATP and worked well with the staff there. 50. In spite of her best efforts, it was clear to Ms. Shaffer that Parents were not ready to transition Student to IATP. Parents wanted Student to remain in the high school SDC, even though it was announced that Ms. Titus would not be Student’s teacher at University for 2011-2012. Further, Sally Morales, Student’s prior and highly regarded teacher, would be Student’s teacher at IATP. 51. In spite of parental objections, the IEP team revised its offer for Student’s placement for the 2011-2012 school year to IATP. The IEP team offered: (1) 120 minutes per day of SAI at IATP; (2) 60 minutes per week of speech and language collaboration ; (3) 60 minutes per month of AT consultation during the iPad trial; (4) 15 minutes of AT consultation after completion of the iPad trial; (5) 120 minutes per year of OT consultation; (6) 120 minutes per day of work experience education at IATP; (7) 60 minutes per week of transition services; and (8) 60 minutes per week of travel and mobility training at IATP. Parents did not consent to the SAI at IATP, the work experience education, other transition services and the travel training components of the IEP. As a result, Parent’s invoked Student’s stay put right to remain at University. Parents remain convinced that the high school setting has a different purpose than the adult program at IATP. Parents wanted Student to develop more of a foundation before transitioning to IATP. They wanted Student to learn how to use the iPad first. They wanted her to stay in the SDC for the full school day and not do half of her time in school and half on CBI. Mother again emphasized their difficulties with Student’s menstrual issues and behaviors at home. In spite of being told the IATP program would make Student more independent through working on her IEP goals, and she could work with her iPad at IATP, Parents could not be persuaded to change Student’s placement, and Student, now age 19, remained at University for the sixth year. 6 Apple is the mega-company which manufactures the iPad. 53. There is no factual dispute regarding the request for IEE’s at public expense. Parents initially requested a neuropsychological assessment and AT assessment on July 20, 2011. On July 26, 2011, the District declined to provide the IEE’s and provided prior written notice (PWN) to Parents. On August 4, 2011, the District sent Parents another PWN letter still declining to pay for IEE’s. On August 31, 2011, Student’s attorney made a written request of the District to fund the previously requested IEE’s. A series of e-mails ensued between the attorneys for both parties. Ultimately, Student decided to retain Dr. Davidson, and Ms. Cottier to perform the requested IEE’s, and the District declined to pay for their assessments. On August 25, 2011, the District served Student with its Request for Due Process Complaint (OAH Case No. 2011081083). As with many special education disputes, hearing on the District’s complaint was delayed due to amended complaints and continuances. In the meantime, Student obtained the IEE’s, and continued to seek reimbursement from the District. After much drama between the attorneys, on March 9, 2012, the District agreed to pay for the IEE’s and withdrew its request for due process hearing. Pursuant to its letter of March 9, 2012, the District agreed to reimburse Parents for the costs of the completed IEE’s as requested pursuant to the invoices submitted by Dr. Davidson and Ms. Cottier. 54. It is noted that Dr. Davidson’s $5,006.25 invoice for her psychoeducational assessment included the cost of her time to attend Student’s April 27, 2012 IEP meeting to present her findings and recommendations. Subsequently, Dr. Davidson billed Parents for $270.00 for the time she spent attending Student’s May 31, 2012 IEP meeting, and $607.00 for the time she spent attending Student’s June 6, 2012 IEP meeting. The District has declined to pay Dr. Davidson’s additional invoices. 55. Dr. Chris Davidson conducted Student’s psychoeducational IEE between October 5, 2011 and November 29, 2011. She prepared a written psychoeducational report which she presented at Student’s April 27, 2012 IEP meeting. 7 Dr. Davidson has received her BCBA training, but has not sought certification. 56. There is no doubt that Dr. Davidson is a highly qualified educational psychologist. Dr. Davidson holds a B.S in elementary education and teacher of the handicapped certificate, M.S. in counseling and Ed. D in educational management. She also has received the training for Board Certified Behavior Analyst (BCBA). 7 Dr. Davidson also has special education experience from a school district perspective, having previously been employed as a special education teacher, school psychologist, special education director, and assistant superintendent for several school districts in Southern California. She is not a licensed SLP. 57. Dr. Davidson prepared a massive 239 page report which painstakingly encompassed a review of Student’s educational records, assessments and previous IEP’s. She conducted her own extensive evaluation, including nine different assessments and 12 surveys; conducted interviews; and made classroom observations both at University and IATP. In addition to her assessment findings, Dr. Davidson made 69 goal recommendations, and provided 21 curriculum and service recommendations. Dr. Davidson describes her assessment process as “telling the student’s story.” While Dr. Davidson’s behemoth is extensive and detailed, at the end of the day, her clinical findings and determination of Student’s unique needs do not significantly differ from those of the District. In fact, Dr. Davidson’s myriad of proposed goals were well received, and many of those goals were adopted by the 2012 IEP team, thusly rendering the 2012 IEP goals acceptable to Parents and not subject to determination in this decision. 58. Robert Aristo, the District’s Secondary School Psychologist had previously administered Student’s triennial assessment. While he voiced the opinion that Dr. Davidson’s assessments were misleading, invalid and inappropriate, he did not report a significant dispute with her findings. He indicated that her findings “were nothing new.” Both assessments found similar strengths and weaknesses for Student. Both made similar findings. The parties differ, however, on educational philosophy and methodology, i.e., how to apply the information gained in the assessments to Student’s special education needs. This difference of opinion leads to the rift between the parties regarding appropriate placement and sufficient supports for the agreed upon goals. 59. In defining Student’s PLOP’s (as of the completion of her assessment in early January 2012), Dr. Davidson found that Student was non-verbal with a receptive language skill level of two to three years of age, and expressive language skills at the one year of age level. Student had just begun learning to use the iPad for functional communication of her needs and wants. Dr. Davidson reported that, as of October 2011, Student had only met three of 11 goals scheduled for completion by January 2012. She believed much of Student’s lack of success was attributable to Student’s frustration with using PECS and the communication book. 60. Dr. Davidson measured Student’s adaptive functioning level at two to three years of age. She concluded it would be difficult for Student to learn “work” skills until she acquired more basic foundational skills, such as daily routine skills (i.e., zipping/unzipping her backpack); hygiene (developing proper bathroom skills, taking care of herself during her period, combing her hair and brushing her teeth); personal safety (using a key, carrying identification, avoiding dangerous situations); transportation (traveling safely on streets and in parking lots, using public transportation); meal planning (preparing simple meals, using a toaster); money (identifying and adding coins); and social communication (participating in leisure activities and planning social activities with friends). 61. Of great concern to both Dr. Davidson and Parents was Student’s safety in public. It is undisputed that Student will approach strangers and smile at them; she cannot identify dangerous situations nor does she know what to do when they are encountered. Student needs to discern possible dangerous situations and persons, and learn to problem solve before working in public places. Student’s expressive communication level leaves her unable to give personal information, such as her name, address or telephone number. Further, Student has a very short attention span which requires constant prompting. This also leads to undesirable behaviors. Student needs to learn how to independently complete simple mastered tasks without constant prompting. None of these PLOP’s were disputed by the District. Again, the parties disputed where the IEP would be implemented and how much service was needed to support the goals. 8 Further, when Student entered IATP, her instructional minutes remain at 55 minutes, five times per day. 62. Dr. Davidson recommended that Student continue to be educated in the moderate/severe SDC at University for 55 instructional minutes five times per day. Dr. Davidson recommended continued SDC placement to allow Student to increase her functional communication, self-help, safety awareness, and academic skills to prepare for transition to IATP. 8 To accompany the SDC placement, Dr. Davidson made many additional recommendations. 63. Dr. Davidson also recommended that the District provide Student with a fulltime, one-to-one instructional aide trained in ABA, curriculum modifications, facilitating social skills, data collection and analysis, and program evaluation to assist Student with using her AT device, functional communication skills, attention span, goal attainment, safety, and toileting skills. Further, she recommended that Student continue to receive eight hours a week of direct one-to-one ABA, and two hours per month of program consultation by CARD to work on self-help, safety awareness and skills, behavior and social skills. 64. Although Dr. Davidson recommended a trial period for the DynaVox M3, an alternate AT device, she acknowledged that Student had been using the iPad since November 2011 with the Proloquo2Go app. Using either device, Dr. Davidson recommended that Student, her teachers, specialists, staff and parents receive 30 minutes per month of AT consultation for programming and on-going training. It was also recommended that the monthly training and programming occur separate from Student’s speech and language therapy sessions. 65. As previously stated, Dr. Davidson found Student to be non-verbal and lacking a functional communication system. Since she lacked functional communication skills, Student exhibited behaviors such as non-compliance and aggression, and was unable to communicate her wants and needs. In response to these deficits, Dr. Davidson recommended that Student receive two, 60-minute sessions per week of individual speech and language therapy and one, 60-minute session per week of small group sessions for social pragmatic and skill training. Ms. Plass disagreed with these recommendations, and emphasized that Student did have a multi-modal communication system which included PECS. Ms. Plass opined that Dr. Davidson comments regarding PECS were not based upon observation, but were made based upon assumptions. Further, given that Dr. Davidson is not a licensed SLP, and she conducted no speech and language assessments, Ms. Plass finds no purpose in Dr. Davidson’s recommendation for individual speech and language services. Instead, Student needs to learn to generalize across environments in the community, not in individual or small group therapy sessions. 9 Dr. Davidson’s assessment report made several other recommendations which are not in issue in Student’s complaint, and are not discussed herein. Needless to say, Dr. Davidson’s educational suggestions were extensive and aligned with Student’s unique needs. 67. Dr. Davidson’s recommendations regarding Student’s ITP are well founded. She defines the purpose of the ITP as developing post-secondary goals. These goals are separate from and in addition to educational goals and training. Dr. Davidson also believes that the IDEA requires a school district to continue with education and additionally make recommendations to other responsible agencies. In her opinion, Student’s 2011 ITP failed to consider other agencies, and failed to link Student’s goals. She finds Student’s IEP lacking and inappropriate. In essence, it appeared to her that the ITP was created simply to go through the motions of statutory requirements. 68. Dr. Davidson stressed that Student required life skill training and a transition curriculum to teach her skills for life after high school. The areas of training included, speaking and listening, money and finances, health medical vocabulary, food and nutrition, fitness, self-advocacy, travel and transportation, and functional writing skills. Dr. Davidson further recommended the Transition Partnership Program (TPP), as a program which teams the District and the Department of Rehabilitation (DOR) to assist Student in her transition from high school to meaningful employment and/or secondary education. 69. Dr. Davidson’s assessment acknowledged the DOR Consumer Information Handbook which was published by the State of California in 2010. The Handbook provides information to assist those with a physical or mental impairment that results in a significant impediment to employment and who can benefit from vocational rehabilitation services to prepare for, obtain, and retain employment. This Handbook describes the services available through DOR, including but not limited to: counseling and guidance; referrals and assistance to obtain services from other agencies; job search and placement assistance; vocational and other training services; evaluation of physical and mental impairments; on-the-job or personal assistance services; equipment, tools and supplies; AT; supported employment services; services to the family; transportation and related travel expenses necessary to allow Student to participate in a vocational and rehabilitation service; and self-advocacy. Dr. Davidson recommended that the District refer Student to the DOR, and that the District develop a written Action Plan for Student as recommended by the DOR. Further, Dr. Davidson recommended that Parents, Student and her school counselor meet with representatives of: (1) State Workability Program to assist with job skills, independent living and functional skills; (2) Centers for Independent Living, to assist with Medi-Cal, Social Security, Disability benefits, in-home services, and subsidized housing; (3) Department of Developmental Disabilities; and (4) other organizations intended to provide employmentrelated services. 70. Cynthia Cottier testified as Student’s expert in the area of speech and language. Ms. Cottier is a licensed SLP, and is the Executive Director of Augmentative Communication Therapies. She also holds a B.A. in speech communication disorders, an M.A. in communicative disorders, and an M.Ed. in educational administration. Ms. Cottier presents as a qualified expert in the area of augmentative communication and speech and language. 71. Ms. Cottier assessed Student and prepared a written evaluation report dated January 26, 2012. The purpose of the assessment was to investigate any augmentative communication systems, techniques and strategies which might help Student communicate and/or participate more efficiently and effectively. Ms. Cottier utilized several different types of assistive technology systems, including PECS, Spring Board Lite, DynaVox M3, and the iPad with Proloquo2Go. 72. In assessing Student, Ms. Cottier observed that Student exhibited fine motor skills deficits and mixed muscle tone which affected her ability to access message areas on communication devices; often Student was not able to depress message areas on communication devices with enough force to active the programmed message. Ultimately, the use of AC systems with the most sensitive touch displays were the most appropriate for Student. 73. Ms. Cottier was aware of Student’s history of inappropriate behaviors, such as noncompliance, tantrums, destructive and aggressive behaviors, and public disrobing. She reported Student did not exhibit any inappropriate behaviors during the assessment. It was noted, however, that Student became disinterested and frustrated easily, and she demonstrated limited persistence when activities became even a little more difficult. Overall it appeared that the two most influencing behavioral factors related to Student’s functional use of an AC device were her motivation and interest with the activity. It also appeared that in order for Student to participate and derive information from activities, they needed to be specifically related to her interests. 74. Ms. Cottier was also aware that by the time of her assessment, Student primarily relied on limited gross vocalizations, adapted signing, and facial expressions or nods for communication purposes. She had previously used PECS, but had more recently used an iPad with Proloquo2Go. Student used the iPad at home with her parents as well as at school. It was noted, however, that Student frequently preferred to use PECS at school. In either case, Student possessed at least a beginning level of understanding of the purpose of AC systems. 75. In drawing her conclusions, Ms. Cottier, emphasized that it should be remembered that the most basic and underlying principle when selecting and developing an effective AC or technology system is that the effort to utilize a system needs to be minimized, and that the motivation and desire to use the system needs to be equal to, or greater than, this effort. In addition, Student’s fine motor skills and intellectual deficits are significant factors in determining whether an AC system is appropriate for Student. 76. Ms. Cottier did not reject the use of PECS. Student had previous experience with this system, and was able to visually discriminate symbols presented. Instead, Ms. Cottier found PECS to be effortful and physically cumbersome in light of Student’s motor deficits. It restricted her ability to communicate, and Student’s communication abilities appeared to be the same in 2012, as they were in 2011. Additionally, Parents were using the iPad exclusively at home. As a result, Student did not have a reliable means of communication across environments, making PECS now inappropriate as Student’s primary means of communication. PECS, however, as part of a multi-modality communication system used at school, and used as a back-up system would be remain appropriate for Student. 10 Like most of her typical peers, Student needed to understand that the iPad was primarily for communication purposes rather than recreational purposes. 78. Ms Cottier also reviewed Ms. Maltby’s AC report, and felt the findings regarding Student’s use of the iPad were fairly consistent with her own findings. Therefore, Ms. Cottier ultimately recommended that an iPad, be adapted to promote a more functional use for Student, and the Proloquo2Go app be modified to meet her specific needs. She recommended the iPad be utilized during all communication activities as Student’s primary AC for functional communication purposes. It is noted, however, Ms. Cottier also recommended that the District continue to develop the use of a multi-modality communication system, which could include PECS as a back-up system. 79. The parties disagree on the amount of consultation and training needed to support Student on the iPad. Ms. Cottier recommended that one hour per month of consultation with District staff would be needed to develop new communication based activities for Student and program new displays as necessary. Three, one-to-two hour consultation and/or training sessions with Parents and Student’s behavioral support staff would also be needed to maintain consistency across environments. In her opinion, consultation could include a variety of things, such as discussions on Student’s progress, modification of programs or demonstration of additional apps. In any event, Ms. Cottier found the District’s offer of 15 minutes per month consultation to be insufficient to support Student’s intensive AC needs. The consultation time, however, was based upon the iPad trial, as the parties were stuck in the stay put mode. 11 The January 27, 2012 IEP was developed through three IEP meetings, on April 27, May 31, and June 6, 2012. 12 Ms. Cottier was present through telephone conferencing. 80. Nevine Gerges, the Secondary Program Specialist for the District, testified on behalf of the District. While Ms. Gerges is an experienced special education administrator, she began her employment with the District on December 2, 2011, and in essence became familiar with Student immediately upon her District employment. Ms. Gerges attended each of Student’s 2012 IEP meetings and reported on their progression and discussions. 81. On January 23, 2012 the District notified Parents that Student’s 2012 annual IEP meeting would be held on January 27, 2012. On January 25, 2012, Student’s attorney notified the District that: (1) they had not requested an IEP meeting; (2) Parents and their attorneys were unavailable on January 27, 2012; (3) they did not consent to an IEP meeting being held in their absence and (4) they waived time to extend the annual IEP timeline so the IEP meeting could be held at a mutually agreeable time. In response, on January 26, 2012, the District notified Student’s attorney that, while they would cooperate in rescheduling another IEP meeting at a mutually agreeable time, in order to comply with statutory timelines, the District would still convene the annual IEP meeting on January 27, 2012, but would adjourn without discussing any substantive topics. On January 27, 2012, the District convened Student’s annual IEP meeting without Parents present, and then adjourned in order to reconvene at a later date with Parents and their attorney present. 82. A series of communications ensued between the attorneys, and Student’s 2012 IEP meeting was finally reconvened on April 27, 2012. At that time, all required parties were present for the IEP meeting, including Parents and their attorney. Additionally, both Dr. Davidson and Ms. Cottier 12 attended the IEP and presented the results of their IEEs. 83. Dr. Davidson’s IEE report was presented and discussed with the IEP team. Both Dr. Davidson and Parents voiced concern regarding Student’s self-help skills. They had not seen a lot of improvement, and were still concerned about transitioning Student into the adult program at IATP. They also questioned Student’s limited use of the iPad. The IEP notes reflect the IEP meeting covered discussions of both IEE reports, as well as input from CARD. 84. Betty Tia, Student’s case supervisor at CARD, testified on behalf of Student. Ms. Tia observed Student in Mr. Lexin’s classroom on December 2, 2011, and attended all of Student’s 2012 IEP meetings. Ms. Tia is a qualified Board Certified Behavior Analyst (BCBM) who is employed by CARD, a non-public behavior therapy group, which has contracts with the District and other school districts in Southern California. Currently CARD is providing Student with home ABA services through OCRC. 86. Mr. Lexin also recounted Student’s previous maladaptive behaviors in the school setting. Student had previously bitten him when he intervened with her interaction with another peer; and as exhibited during Ms. Tia’s observation, Student had a history of falling asleep at school. Ms. Tia and Mr. Lexin also discussed intervention strategies for maladaptive behaviors, reinforcements, and promotion of communication for Student. 87. Ms. Tia’s written report which was provided to the IEP team on April 27, 2012, contained “suggestions to generalize Student’s skills in the school setting.” Ms. Tia reported that Student was very social and exhibited a desire to engage in interactions with others and prompts should be provided to facilitate social interactions during social activities. Student could be prompted to: (1) greet peers; (2) look at what peers were doing; (3) imitate peers’ actions; and (4) respond through gestures when a peer communicated with her. The suggestions also noted that support could be provided through the use of the iPad as well as for Student to expressively communicate with others. 88. Ms. Tia’s written suggestions also reported that Student demonstrated great receptive skills. She was able to follow various instructions and was able to identify various labels across stimuli and environment. During unstructured time, however, Student appeared to maintain an inactive stance, would wander or would lie around and attempt to fall asleep. She did not independently seek activities to engage in, and familiar activities should be provided to keep her occupied. Ms. Tia noted that Student: (1) knew how sort various items by categories, by attributes and functions; (2) enjoyed playing with theraputty which also helped to strengthen her finger grip; (3) enjoyed doodling on paper with colored markers; (4) enjoyed listening to music, and was able to gesture to indicate what she wanted or did not want to hear. 89. Ultimately, Ms. Tia suggested involving Student in structured activities which would promote communication through the iPad, etc., promote fine motor skills so that Student is able to navigate across environments with minimal support, and promote interaction with peers, such as turn-taking activities. 90. Oddly, Ms. Tia’s testimony varied from her written suggestions and observations. At hearing, Ms. Tia indicated that Student could not follow multi-level directions; required prompts; could not plan; lacked social skills; exhibited both expressive and receptive deficits; and lacked living skills. She further indicated Student used PECS at home and was beginning to use the iPad at home as well, but Student did not use PECS or the iPad in class. She reported Student did not use the iPad as she did not like it and would be non-compliant. Her testimony emphasized that she observed five to six maladaptive behaviors in one hour, including the ones listed in Paragraph 84 above, but now described as sleeping, disrobing, wandering, grabbing food, and flopping to the floor as dead weight. 91. Ms. Tia opined that Student needed additional supports in the classroom and a one-to-one aide in spite of the classroom ratio of adults to students. Student is a big girl who can be aggressive and disruptive. She sometimes needs two to three adults with her in the community. Additionally, Ms. Tia believes Student needs a Behavior Plan at school. Although Student has a home Behavior Intervention Plan (BIP), Ms. Tia did not share it with the IEP team, because, “the teacher did not report any problem behaviors at school.” Nonetheless, she believes that the District needs to address Student’s maladaptive behaviors; Student’s behaviors need to be modified, not just redirected. 92. It is apparent that Ms. Tia and District personnel hold differing definitions of maladaptive behaviors. As the CARD behaviorist, Ms. Tia’s behavior expectations appear to be far more stringent than those of the District staff. Ms. Gerges indicated there had been no major behaviors reported involving Student. At school, “major behaviors” were defined as, among other things, disrobing, broken bones, or other incidents requiring medical attention. Major behaviors could also involve lesser behavior infractions, depending on their intensity and/or frequency. Although it was understood that Student had a problem with occasionally biting and scratching, Ms. Gerges did not consider these behaviors to be a major problem by her definition. 93. Ms. Tia admitted she was not significantly familiar with IATP, but believed she had a basic understanding of the program offered to Student. Based upon that limited understanding, she recommended that Student remain at University with a one-to-one aide to allow Student to access fundamental skills, self-awareness, self-help and communication skills. Student also needed to learn less maladaptive and unsafe behaviors. Based upon her knowledge of Student, Ms. Tia does not believe Student is ready for IATP. Student’s deficits are too large and too basic for a vocational and independent living program. 94. Ms. Tia also reviewed Student’s 2011 goals and considers them to be inappropriate. She feels that the goals are generally not specific enough for Student to be successful, some are unclear, and others cannot be adequately measured to determine Student’s progress. In essence, for a BCBM like Ms. Tia, the goals were simply not as precise as she would have liked. Unfortunately, although she attended Student’s IEP meetings, Ms. Tia did not share her concerns with the IEP team. 95. The January 27, 2012 IEP meeting reconvened on May 31, 2012. All required parties were present. Parents attended with their attorney and Dr. Davidson. The primary purpose of this IEP meeting was to craft Student’s goals. Though there doesn’t appear to be a significant divergence of opinion regarding Student’s PLOP’s, the parties continued to disagree on what services Student required. The District continued to pursue a more functional, vocational program curriculum leading to independent living; Parents reemphasized Student’s health problems as they related to her noncompliant behaviors; and Dr. Davidson believed Student required a one-to-one aid to maintain her attention in the classroom and for safety reasons during CBI. Due to time constraints, another IEP meeting was scheduled to finalize the goals, determine placement, and present the District’s formal offer of FAPE. 96. The District held the last phase of Student’s January 27, 2012 IEP on June 6, 2012. All required parties were present, and Parents attended with their attorney and Dr. Davidson. The purpose of the meeting was to review newly proposed goals and the ITP, as they had been updated and edited based upon the May 31 discussions. Parents consented to all of the goals. Parents expressed concern that APE had been removed from Student’s IEP, therefore, Ms. Cozen-Rolfing spoke at the meeting. 97. Janice Cozen-Rolfing is the APE teacher at University. Student has been in her class for seven years. Ms. Cozen-Rolfing reported that Student has difficulty with her gross motor skills due to her cerebral palsy and intellectual deficits; however, Student has made gains in physical fitness. Further, Student’s behaviors have improved. Student is better at staying with the group, and no longer wanders off during APE. From a physical education standpoint, Student is at a level of physical function to proceed to the adult level and she is ready for the transition to IATP. 98. Ms. Cozen-Rolfing reminds us that APE is a related service offered to allow a student to derive benefit from his/her education. Student continued to receive APE at University, because PE is a required class in high school. IATP is not high school, therefore, PE or APE, is not required. That is not to say that physical activity, sports and physical fitness are not part of the IATP program. APE is integrated into the daily program at IATP. Ms. Cozen-Rolfing consults with IATP and plans activities for students, which are intended to expose students to different activities. In turn, the students select their own activities. This is intended to assist students in making choices, which can carry on into adult life. In order to accommodate parental concerns, the District agreed to offer of one hour per year of APE consultation. Ms. Cozen-Rolfing considers this to be sufficient for Student’s IEP, as Ms. Cozen-Rolfing is already creating the physical activity programs for IATP. The time allotted for consultation will allow Ms. Cozen-Rolfing to address any concerns Student’s teacher or Parents regarding Student’s physical activities. 99. In their deliberations over placement, the parties continued to disagree. Dr. Davidson had observed the programs at IATP, and she remained convinced Student did not have the prerequisite skills to be successful at IATP. Much of IATP was CBI, and Student didn’t have the skills needed, even with the assistance of a one-to-one aide. As a result, Dr. Davidson concluded Student could not meaningfully participate in the adult program. 100. Dr. Davidson spoke with Ms. Titus and asked why she supported Student’s transition to IATP. Ms. Titus indicated that there was not much time left to make Student independent, and the District would be remiss if they did not support the transition to IATP. Dr. Davidson also recalled Ms. Morales responding to the same question in a similar manner. As a result, Dr. Davidson, and Student’s family have concluded that the District is pursuing Student’s transition to IATP solely based upon Student’s age, rather than upon her disabilities and unique needs. Ms. Titus recalled the conversation, but added that although Student’s age was a consideration, it was not the sole basis of the decision to transition to IATP. Ms. Titus noted, that based upon her conversation with Dr. Davidson, she felt Dr. Davidson did not fully understand the IATP program. Further, IATP was more appropriate than high school for Student at her age (now over 20) and would provide her with more functional skills. Lastly, contrary to Dr. Davidson’s understanding of IATP, students do not need minimal skills to transition to IATP. 101. Sally Morales also testified regarding IATP. Ms. Morales is an Education Specialist at the District, and has taught students with moderate to severely disabilities at IATP for seven years. Previously Ms. Morales taught Student her SDC at University. Ms. Morales developed the IATP for the District, and described the program at the IEP meeting. According to Ms. Morales, the IATP was designed to meet the needs for special education students aged 18 to 22, in their transition into adult programs available through OCRC. The programs address safety awareness, independent living, mobility and access to the community, as well as functional academics. Unlike the high school program, IATP provides students opportunities by working on making choices and developing independent mobility through CBI. 102. IATP does not require readiness skills. IATP provides the program and the transition for students. Families work with Ms. Morales to create an appropriate program for their child. The abilities of students at IATP range from non-independent, needing significant attention to more independent. IATP students are both verbal and nonverbal; have a large range in cognitive abilities, range in toileting skills, and exhibit a variety of behaviors. IATP programs are language based and language enriched in order to increase students’ ability to communicate. AT is used, as appropriate, and iPads may be used. 103. ITAP expects students to enter its programs with skill levels of zero to one. Each student’s skill levels will advance over time, although, sometimes it may take years. Nevertheless, Ms. Morales contends that each student will develop skills in the program even if he/she does not become fully independent. 104. Ms. Morales attempted to allay Parents’ fears regarding Student’s behaviors during CBI. A portion of curriculum involves CBI; however, CBI requires parental approval, and permission slips are sent home monthly with a list of the proposed CBI’s to be approved by the parent. Further, students are not automatically sent out into the community. Instead, they go when they are ready. If CBI is not recommended or approved, IATP also has on site job training available. As example, students can work on campus recycling, shredding papers, or sorting things, which will teach them the routine of performing tasks. Further, vocational training is not a long continuous activity. Breaks are scheduled as part of the routine. 105. Ms. Morales does not believe Student needs a one-to-one aide while attending IATP. The program already contains a lot of support. Further, a goal of independent living is to fade supports, but staff is available when needed. Certainly IATP can provide a one-toone aide where a student presents with continuous, aggressive behaviors or is capable of severe injuries. A one-to-one aide may also be appropriate for medical necessity as well. At school, however, Student does not exhibit the behaviors which require one-to-one aide intervention. Student’s menstrual behaviors were not apparent at school, but such issues could be addressed at IATP if needed. 106. The IATP program could implement both Student’s January 2011 and January 2012 IEP’s as offered by the District. Ms. Morales sees no problems with the proposed AT consultation time. She believes it provides enough time to work with programming the iPad, and learning new apps. Student would be using it all day, every day, and the ultimate goal would be for Student to use it independently on a practical level. Additionally, during SAI Student would work on goals. 107. APE is not generally part of the curriculum at IATP. Instead, physical activities, such as walks, playing sports or going to the park, are part of the daily routine. APE consultation, however, would be appropriate to determine what needed to be adapted for Student’s physical activities and sports. 108. IATP also develops transportation training, such as pedestrian skills and bus skills. Students work on appropriate travel behavior and safety. 109. Ms. Morales believes Student will be successful at IATP. Student is a “pleaser,” and can be encouraged and motivated to succeed. Further, it is imperative that Student transition to a more adult setting where Student can interact with her same age peers. The adult program has different expectations and interactions from high school. Student needs adult role modeling. She needs to begin to make choices and to understand the natural consequences of those choices. Ms. Morales has a good relationship with both Student and her parents and believes they should collaborate well. 110. Ms. Morales was present during Dr. Davidson’s observation at IATP. She recalled Dr. Davidson expressed concern regarding Student’s lack of independence. Ms. Morales emphasized that gaining independence was part of the program. IATP was designed to assist students in building skills, and the students Dr. Davidson observed were successful in making progress. 111. After discussions were completed, and in addition to the approved goals, the IEP team offered Student the following: (1) SAI for 228 minutes per day; (2) 15 minutes per week of speech and language consultation; (3) 30 minutes per year of health and nursing consultation; (4) use of a touch sensitive table device (iPad) with communication apps added as needed; (5) 90 minutes per year of vision services; (6) 120 minutes per year of OT consultation; (7) 60 minutes per month of transition services; (8) 120 minutes per day of group work experience; (9) 60 minutes per week of travel training which included mobility training; (10) and one hour per year of APE consultation. The IEP team offered to implement Student’s IEP at IATP. 13 Parents confirmed their consent to the 2012 IEP goals by oral stipulation at the hearing. 112. Although Parents consented to the 2012 IEP goals, 13 they did not consent to the remainder of the IEP regarding placement and services. Parents again voiced their concerns regarding Student’s behavior during CBI in the community. During family outings, Student would display inappropriate behaviors such as pulling down her pants in public, and displaying her used sanitary napkin. It was noted, however, that Student participated in CBI at University, and the behaviors described by Parents had not been manifested in the school setting. Nevertheless, the IEP team discussed pro-active interventions, and indicated that if Student’s behaviors escalated (at school or school-based CBI), the IATP teacher would use the same interventions as were used at home. Further, Student’s initial CBI hours at IATP would be limited, and the teacher ensured Parents that in the beginning, Student’s CBI training would be in familiar places and within close proximity to IATP. Student’s attorney requested a Behavior Support Plan (BSP) with a number of instructional minutes be added to the IEP. The District subsequently denied counsel’s request, but indicated that, should Student develop the behaviors described by Parents in the school setting, the District would absolutely consider implementation of a BSP. 113. At the June 6, 2012 IEP meeting, the IEP team offered Student 2012 ESY at IATP, including: (1) 240 minutes per day of SAI; (2) 15 minutes per week of speech and language consultation; and (3) 60 minutes per week of AT consultation. Given that Parents did not consent to the 2012 IEP, and had invoked Student’s “stay put” rights, Student’s ESY offer of placement remained at IATP, as it had been for 2011 ESY. In filling out the ESY form, Parent crossed out IATP and inserted Woodbridge High School as the site for ESY. Mother indicated that she believed Student would attend ESY at Woodbridge in 2012, until informed about the stay put. This issue is moot for ESY 2012. Although Student had always attended ESY in the past, she did not attend any ESY program in 2012, due to a family vacation coincidentally scheduled during ESY, and further due to injuries Student incurred while on that vacation. 114. There is no disagreement that Dr. Davidson attended the April 27, 2012 IEP meeting to present the findings of her IEE. The question looms as to whether Dr. Davidson attended the remaining two 2012 IEP meetings in her capacity of an Independent Evaluator. Dr. Davidson said little to defend herself on this issue. She simply stated that she attended Student’s IEP meetings as a licensed Educational Therapist. As previously stated, Dr. Davidson tries to “tell the student’s story” and present the findings and recommendations she believes are needed on behalf of the student. She believes her attendance was needed at all three 2012 IEP’s because she prepared the IEE, and needed to help shape the goals in the IEP. 115. The District staff present at the IEP meetings saw Dr. Davidson as an advocate for Student and her parents. Mr. Aristo recalled that Dr. Davidson completed the presentation of her assessment findings and recommendations at the April 27, 2012 IEP meeting. Although she attended the remaining 2012 IEP meetings, she did not address her assessments, per se, but rather advocated on behalf of Student. Mr. Aristo considered Dr. Davidson to be less than independent in her opinions. He refers to her involvement in this case as a “fishing expedition” in which she was searching for a diagnosis which would support her belief that IATP was inappropriate. 14 It does appear that Dr. Davidson steadfastly refused to accept the concept that University actually provided Student with less school hours (1816 minutes), while IATP presented Student with 1950 minutes of school time per week. Dr. Davidson’s determination of less hours at IATP failed to consider the time spent in CBI each day. She was also misinformed regarding other issues, such as the need for prerequisite skills, and staff training on the iPad. 1. Under Schaffer v. Weast (2005) 546 U.S. 49, [126 S.Ct. 528, 163 L.Ed.2d 387], the party who files the request for due process has the burden of persuasion at the due process hearing. In this matter, Student has the burden of proof on all issues. Did the January 27, 2011 IEP fail to provide Student a FAPE? 25. Student contends that by the time of the January 27, 2011 IEP, PECS had become cumbersome, difficult to use, frustrating to Student, and an impediment to Student’s ability and willingness to communicate. As a result, Student did not have a functional means of communication. Given that the District continued to rely on PECS, and continued to base Student’s goals on PECS and related visual schedules, Student’s goals were inappropriate, thusly denying Student a FAPE. 28. Upon assessing Student in May 2011, Ms. Maltby determined that Student was ready to expand her modes of communication. At the June 2, 2011 IEP meeting, based upon Ms. Maltby’s recommendations, the IEP team: (1) replaced Student’s completed PECS goal, with a new goal using a communication book instead of PECS; and (2) established a trial of the iPad for Student commencing in September 2011. (Factual Findings 43 and 44.) Parents and their advocate consented to this addendum. (Factual Finding 45.) The January 27, 2011 IEP provided Student with appropriate AT. 29. Student next contends that the January 27, 2011 IEP failed to provide Student with sufficient speech and language DIS. The January 27, 2011 IEP called for 15 minutes per week of speech and language collaboration. Ms. Plass, Student’s SLP, clarified that collaboration is more than consultation, and involves working with Student as well as the staff. Further, as of January 2011, Student’s primary form of communication was still PECS, and both Ms. Plass and Ms. Titus were experienced with PECS. (Factual Finding 21.) Ms. Plass, an experienced SLP, took issue with Dr. Davidson’s conclusion that Student required three hours per week of direct speech and language services (120 minutes of individual services/60 minutes of group). Although Dr. Davidson is a highly experienced educational therapist, and has had significant exposure to speech and language issues in her career, she is not a licensed SLP, and she did not formally assess Student in the area of speech and language. (Factual Finding 65.) Further, other than restate the obvious, that Student is nonverbal and has severe expressive and receptive language deficits, Dr. Davidson provided no solid reason as to how direct speech and language services would benefit Student, or why three hours per week were required. One can only surmise, that with a severely disabled child, more is better. Ms. Plass, on the other hand, simply makes more sense. Student would receive far more benefit from learning to generalize in the community, rather than sitting through three hours of individual or small group speech and language sessions. (Factual Finding 65.) Student failed to establish that the speech and language DIS contained in the January 27, 2011 IEP was insufficient or inappropriate for Student. 32. Student contends that the January 27, 2011 IEP failed to provide Student with an appropriate ITP, as it failed to fulfill federal and state requirements for a transition plan, by failing to provide meaningful goals, failing to associate the ITP and IEP goals, failing to identify the agencies or parties responsible for Student meeting ITP goals, and failing to invite outside agencies who are likely to provide or fund Student’s services upon her exit from the public education system. 15 Student’s Issues Two, Three and Four, are being consolidated herein, as they essentially address and argue the same issues over the extended period of July 19, 2011 through July 19, 2012. whatsoever. 35. Student’s primary disenchantment with the District throughout this case revolves around the placement issue at IATP. Student contends that the District’s offer of placement at IATP failed to provide Student with a FAPE; that placement at IATP will provide Student with work experience, travel training and other transitional services which are inappropriate for Student; and that the accompanying offer of SAI and related services are insufficient and inappropriate to provide Student with the basic skills she requires in order to obtain any meaningful benefit from her educational program. 37. Student first contends that the decision to change Student’s placement from University to IATP was inappropriate, as it was primarily based upon a District policy of placement at IATP due to Student’s age rather than due to her individual disabilities and unique needs. This contention is simply not true. There is nothing sinister in considering age as a factor in determining placement. IATP is an adult program, designed for students aged 18 to 22. This is no different from considering programs designed for pre-K students, elementary school aged students or high school aged students. The age factor is not a controlling determination of placement, but in selecting a placement, exposure to age appropriate peers and experiences is a valid consideration. 39. Student next contends that the District gave insufficient consideration to any potentially harmful effects IATP may have on Student, including a negative impact on the implementation of the iPad, loss of APE, reduction in SAI minutes, lack of prerequisite skills necessary to participate in a program focused on employment, and most importantly Student’s safety, when involved in extensive CBI. 42. Student next argues that Student does not possess the basic self-help skills to be successful at IATP. Here, the parties are not far apart in their views of Student’s abilities. Dr. Davidson’s descriptions of Student as contained in Factual Findings 59, 60, and 61, appear accurate and closely coincide with the District’s descriptions of Student contained in Factual Findings 9, 10, 11, and 12. From both reports, it is undisputed that Student lacks significant self-help skills. 43. Dr. Davidson clearly opines that, with Student’s adaptive functioning level at two to three years of age, it would be difficult for Student to learn “work” skills until she developed more basic foundational skills. (Factual Finding 60.) She and Parents are also rightfully concerned about Student’s safety in public. Although Student’s maladaptive behaviors as described by Parents and Ms. Tia, have not been significantly observed in the school setting, there is no dispute that Student cannot identify dangerous situations, nor does she know what to do when they are encountered. (Factual Finding 61.) Dr. Davidson believes that Student needs to learn how to independently complete simple mastered tasks without constant prompting. Further, in order to support Student’s ITP needs, Dr. Davidson stressed that Student required life skills training and a life skills curriculum to teach her skills for life after high school. Her recommended areas of training included speaking and listening, money and finances, health/medical vocabulary, food and nutrition, fitness, selfadvocacy, travel and transportation, and functional writing skills. (Factual Finding 68.) In order to teach Student these skills, Dr. Davidson, recommends that Student receive intensive SAI instruction in the SDC to allow Student to increase her skills before she transitions to IATP. (Factual Findings 61 and 62.) In actuality, Dr. Davidson has just identified the purpose and curriculum of IATP. 45. Student contends that the IATP placement fails to provide Student with a structured program with the maximum amount of academic instruction available. Further, IATP is inappropriate for Student as it is an employment focused training program where the classroom teacher designs the student’s program outside the protections of the IEP process. 16 One can only wonder how Dr. Davidson intended the District to maintain a maximum amount of SAI in the SDC and provide Student with the large number of hours of direct DIS services recommended in her IEE. 17 One might question actually the effectiveness of a one-to-one aide trained in ABA, when considering the testimony of Mother and Ms. Tia regarding Student’s behaviors outside of school. 50. In summary, the focus on placement is on the placement offered by the District, not on the alternative preferred by Parents. As long as the IATP program is designed to meet Student’s unique educational needs, is reasonably calculated to provide educational benefits, and comports with her IEP, the District has provided a FAPE. (Legal Conclusion 9.) It is the consensus of all District educators and IEP team members that Student’s IEP goals are appropriate and can be best implemented at IATP. This is not to say that Parents’ concerns are to be dismissed, and the District staff is acutely aware of the remaining parental concerns. Nonetheless, the testimony regarding Student’s future behavioral and physical well-being, whether it be stressful or successful, is filled with speculation, and is not based upon Student’s behavior in the school setting. While it is true that Student could remain at University until she reaches age 22, the IDEA does not mandate that the District do so, and the District cannot lose light of its obligation to provide a FAPE. (Modesto City School v. Student, 6 ECLRP 40 (SEA CA 2008); OAH Case No. 2008307737/2008040702 (2008).) The District’s witnesses all concluded that the benefit of IATP, along with the anticipated success Student will experience there, outweighs any negative reactions Student might experience. The IEP team was faced with two choices: (1) at age 20, leave Student in the high school SDC with much younger peers; or (2) move Student to the IATP where her agreed-upon goals can be appropriately implemented. The District’s offer of placement at IATP constitutes a FAPE in the LRE. Did the District fail to provide Student a FAPE by failing to implement the iPad trial as agreed upon in the June 2, 1011 IEP addendum? 51. Student contends that the District failed to fulfill its obligation to commence Student’s trial of the iPad on September 8, 2011, as agreed upon in the June 2, 2011 addendum to the January 27, 2011 IEP. It is undisputed that the iPad was not available to Student in September 2011, to commence the six week iPad trial. Therefore, the District is technically out of compliance with the June 2, 2011 IEP addendum. The District, however, did attempt to order the iPad in July 2011, shortly after Student’s IEP meeting, yet was faced with a contractual problem with Apple which prevented the District from obtaining the iPad. When faced with no iPad in September, Ms. Maltby personally purchased an iPad for Student at her own expense, and hoped for reimbursement from the District for this unorthodox act. (Factual Finding 52.) In return for Ms. Maltby’s good deed, Student has the remarkable audacity to complain about a 60 day delay in commencing the iPad test for Student. The delay, at best, may constitute a procedural violation of the IDEA. Under no circumstances does it rise to the level of a substantive violation. (Legal Conclusions 10 and 11.) Student has presented no evidence to show that she or her parents were prejudiced by the delay in obtaining the iPad. Further, there is no evidence of a loss of educational benefit. Student was introduced to the iPad in late October, is still using it, and is developing further skills with it. While the delay may present a technical compliance complaint, it certainly does not rise to the level of a denial of FAPE. Did the District deny Student and her parents their procedural rights by refusing to provide a legally sufficient response to a request for an IEE because the District did not, without undue delay, either agree to fund the IEE or file for a due process hearing to defend its own assessment? 52. Student contends that the District failed to provide Student with a pyschoeducational IEE at public expense for almost eight months after their initial request, and that once, the District agreed to pay for Dr. Davidson’s assessment, it failed to pay her entire fees, including her attendance at the May 31, and June 6, 2012 IEP meetings. 54. What Student is really seeking is additional reimbursement for Dr. Davidson’s further appearances at the May and June 2012 IEP meetings. Student contends that Dr. Davison’s attendance at the May 31, 2012 and the June 6, 2012 IEP meetings was an extension of her IEE presentation, and that she provided valuable assistance in framing Student’s goals. It is undisputed that Dr. Davidson presented her written report and discussed her findings at the April 27, 2012 IEP meeting. (Factual Findings 55 and 114.) It is noted that Dr. Davidson’s invoice which was presented to the District included the cost of her first appearance at Student’s April 27, 2011 IEP meeting. This appearance would customarily be for the purpose of presenting her report and recommendations as an independent assessor. (Factual Finding 54.) While her written assessment report was lengthy, and Student’s IEP could not be completed in one session, both Mr. Aristo and Ms. Gerges indicated that Dr. Davidson’s appearance at the subsequent IEP meeting was not necessary, as she had completed her presentation at the April 2011 IEP meeting. (Factual Findings 115 and 116.) Although Mr. Aristo and Ms. Gerges testimony at hearing was extremely sarcastic and resentful of Dr. Davidson’s appearances at the May 31, and June 2, 2012 IEP meetings, it is clear that Dr. Davidson “switched hats” from independent assessment reporter to advocate for Student. (Factual Findings 114 through 116.) While strenuously advocating for Student is well within Dr. Davidson’s job description as an Educational Therapist, it is not part of the IEE process, which emphasizes independent. While a school district may be required to pay for an IEE which makes findings and recommendations contrary to their own position, a school district is not required to continue to pay for the assessor’s opinions after the assessment report has been presented in order to ensure that the assessors recommendations are adopted. 55. Taken from a practical stance, reimbursement is a remedy, and remedies are a form of equitable relief. (Legal Conclusion 24.) Hypothetically assuming the District’s complaint had gone to hearing in March 2011, and further assuming Student prevailed at hearing, the amount of actual reimbursement evidence available to Student at that time was Dr. Davidson’s invoice for $5,006.25; that is the amount Dr. Davidson charged, and that is the amount Student would have been entitled to at hearing. Student is not entitled to additional reimbursement for Dr. Davidson’s attendance at the May 31 and June 2, 2012 IEP meetings. Student’s requested relief is denied on all issues. The decision in a special education administrative due process proceeding must indicate the extent to which each party prevailed on the issues heard and decided. (Ed. Code, § 56507, subd. (d).) The District has prevailed on all issue.